Looking to find super cute Halloween and Holiday leggings? Be sure to check out the latest styles at My LaLa Leggings! 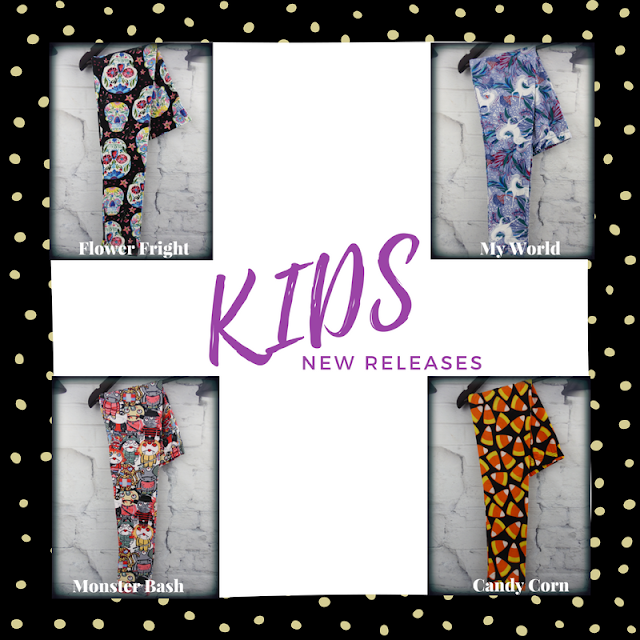 They have super cute patterns plus a huge assortment of non-Holiday pattern Leggings (plus solid colors, too, if prints are your thing)! Shipping is FREE! Allison from Never Say Die Beauty is thrilled that the perfumers at Scent Trunk created a custom fragrance just for her based on her actual scent preferences. It's a must for scent lovers and the perfect affordable holiday gift too! Our friends at Beauty Junkees are committed to supporting Breast Cancer Research. To that end, they are donating 20% of the sales price of a select group of products and the items will ship free. Read Prime Beauty's review of these great products that also do good. Have you checked out GLOSSYBOX Beauty Boxes lately? If not, one look at their October box is all you will need to see why Lola's Secret Beauty Blog can’t wait for their November box! Are you a nail polish lover? Marcia from Beauty Info Zone bit her nails for 30 years. By the looks of her KBShimmer collection you can see that she's over that bad habit! I'm sure many of you like to use pretty patterned makeup tools. See the Vintage Cosmetics line that Stacie of Makeup Obsessed Mom recently discovered. It's both pretty and affordable. Pre Heels is a new innovative foot spray that protects your feet from all manners of pain. Polarbelle brings you the best thing to happen to feet since...well, ever. It isn't often that Christa from Realizing Beauty gets wooed by drugstore makeup but the Physicians Formula 80th Anniversary Collection has swept her off her feet. 15 Minute Beauty loves Chanel nail polish, but hated the chipping. Until now! She can get 5 days of wear from her Chanel manicure! Here's how she does it!